Mints are in! 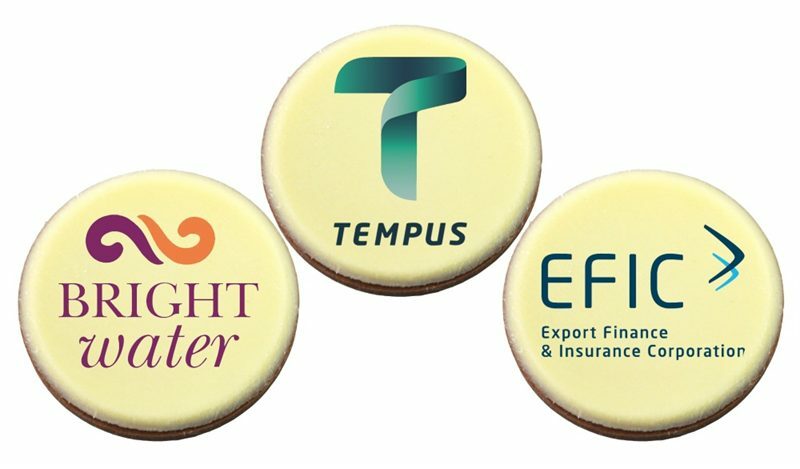 The personalised Mints 50 Gram Pillow Pack is a great way of promoting your brand. It never hurts to give something extra. 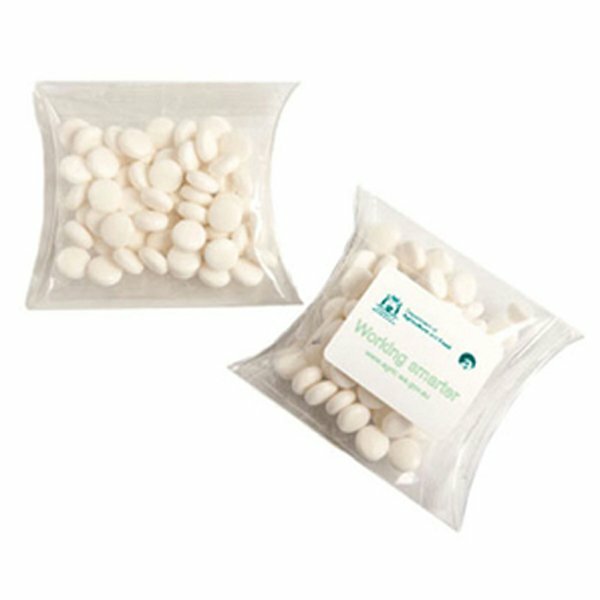 Our customised Mints 50 Gram Pillow Pack is the perfect freebie for your next business occasion! They are well-suited for your next corporate gathering or conferences. With our team at Fast Confectionery, we assure you that this product of ours will be a winner at your upcoming event. This promotional Mints 50 Gram Pillow Pack can be personalised with your logo. We will let you make a choice from mints or chewy mints. Either choice won’t ever let you down. Conveniently packed in charming clear pillow packs, you can apply your brand stickers in full-colour digital print. Their packets can be resealable which make all the goodies inside remain fresh. Along with the brilliant way of branding our promotional Mints 50 Gram Pillow Pack, our whole team is committed in delivering these treats with quality. Produced with the key ingredient, mint oil, it contains antimicrobial properties which aids in soothing the stomach. Mints have also been known to have expectorant that may provide relief for cough and colds. Talk about benefits besides the sugary taste! We are highly confident that these darlings will help your trade’s name captivate people’s eyes. We would love to tell you more about our products. We have a full list for you that without a doubt, would meet anything that your business will require. Some of ours that you might find exceptional for giveaways are our customised Mints Acrylic Dollar Sign and personalised Mints Acrylic Heart Shape. Both come in uniquely fashioned dispensers with stickers in your full coloured digital logo. Your name will definitely be famous to all! Thinking that maybe a little extra colour is needed in your event room or hall? Something that might take your confectionery gifts to an even higher level. How about promotional caps for your team? Pair them up with your sweet gifts and watch your brand soar. Do look at our customised Microfibre Sports Cap Plus Trim. We would love to help you plan your next marketing campaign so grab your phones and give us a call at 1300 008 300. Our lovely team will be so stoked to hear from you!